Here are the franchises setting the standards for a tech-first approach to building brands and engaging with fans. Away from AT&T Stadium, the Cowboys officially launched its Blue Star Accelerator programin November together with local entrepreneur Rob Wechsler. The startup lab and investment venture, which will include companies at the intersection of technology, sports and entertainment, will live on the team’s campus in Frisco, Texas. The Star, as it’s being called, may also soon be home to Gatorade’s third Sports Science Institute, something that owner Jerry Jones alluded to in mid-September. As the Executive Vice President of Baseball Operations, Billy Beane is known for his use of ”Moneyball” over the nearly two decades he has spent in the front office. His progressive nature didn’t start and stop with his position as the general manager, though. Recently, Beane joined Kitman Labs where he sits on the organization’s advisory board. The Silicon Valley, Calif.-based technology and sports science company helps athletes remain healthy through a cloud-based service. As a team, the Athletics have shown a keen interest in STEM—science, technology, engineering and mathematics—programs over the past few years, recently hosting a group of local youth baseball players for the second year in a row this July. The on-field clinic was designed to inspire STEM learning through the science of sports. At the start of the 2016–17 season, the Sharks became the first NHL club to work with VenueNext, a connected technology platform teams can leverage at stadiums to cut costs and drive revenue. For the current Sharks season, VenueNext is powering a few different venue experiences at the SAP Center for Sharks Sports & Entertainment. Additionally, as the Sharks competed in the Stanley Cup Finals a year ago, the team announced a partnership with Kinduct Technologies, a provider of athlete performance software. Through its cloud-based management system, the Sharks can now collect and analyze large pools of data in a centralized technology platform and then distribute player-specific strength and conditioning programs to each athlete. Despite rebuilding their roster over the past few years, the Jaguars have still been an innovator off the field. Around the NFL International Series this fall, the Jaguars worked with London-based virtual reality company Laduma as the team held an activation outside Wembley Stadium to showcase its virtual content to fans. Now with an actual physical presence in London, the Jaguars solicited the services of Welsh digital marketing firm UpriseVSI in early 2016 to grow the team’s market in the United Kingdom. The digital company designed and created the Jaguars’ UK-based website and the booking platform for the teams’ new UK academy, Jaguars Academy. Back stateside, the team worked with NanoLumens prior to the current season to outfit the newly renovated Everbank Field with —six LED displays in all—at the club seat levels. The products’ high-quality screen resolution allows fans to view any angle without distortion. To even further connect with fans in 2016, the team doubled down on gamification with branded video game content, a lead marketing strategy for the Jaguars and a way to capture data on attendees to Everbank Field. The most-recent pinball video game, dubbed “Bud Light presents River City Rollers,” also integrates a blue-chip brand into the equation, too. Virtual reality even made its way to Target Field in late July, except it wasn’t for the players—it was for the fans. The organization gave away 5,000 virtual reality headsets to fans through its relationship with SuperSphereVR, a Los Angeles-based virtual reality production company. Fans could access content with the help of a Twins cardboard headset and via the free MLB.com Ballpark app. 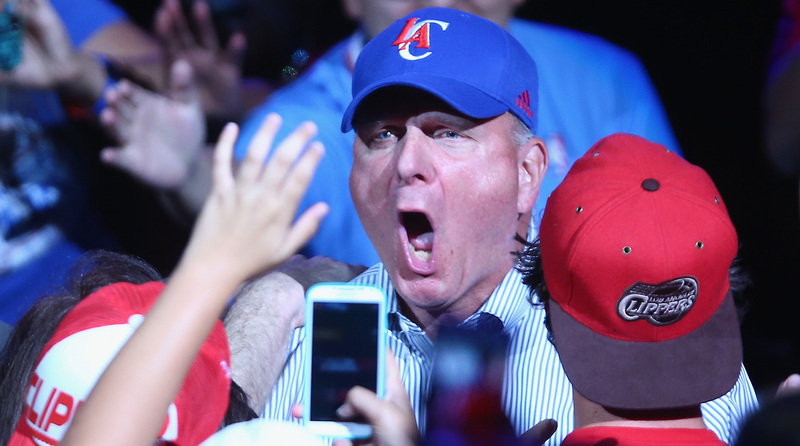 Steve Ballmer, the former Chief Executive Officer at Microsoft, is one of the most-technologically focused owners, not only in the NBA, but across all professional sports. He’s been adamant about keeping the team’s streaming rights as of late, even as the Clippers recently renewed their television partnership with FOX Sports Prime Ticket for a reported $50–55 million per year. In addition to the potential over-the-top offerings coming down the road, Ballmer, 60, sees fans watching a game through point guard Chris Paul’s eyes, a viewing option that may soon appear in the not-too-distant future. On the technology front, the Mavericks are led by owner Mark Cuban, who throughout his career has created a computer consulting business (MicroSolutions) and launched a high-definition television network (HDNet). In addition to being a participant on the ABC show, Shark Tank, Cuban has invested in dozens of companies over the years, including sports data and technology company, Sportradar, along with Unikrn, a leader in eSports betting. Even new Dallas Mavericks forward, Harrison Barnes, is involved in the technology scene, a proponent of the Fitbit Blaze and how wearables have positively impacted his careerin recent years. Like the Denver Broncos, the Mavericks have placed a heightened emphasis on improving players’ sleep, partnering with Bedgear Performance Bedding before the 2016–17 season. Bedgear has worked with each player and coach to create a personalized sleep system. The Mavericks were the first NBA team to collaborate with Bedgear. Additionally, last year, the team called upon Tixsee, a technology company that helped the Mavericks alter the ticket purchasing process with a virtual shopping experience on Mavs.com in order to give fans a panoramic tour of American Airlines Center. At the start of the 2016–17 NFL season, the Vikings unveiled the $1 billion U.S. Bank Stadium, which includes LED lighting, 1,300 WiFi access points, roughly 2,000 HD flat-screen televisions and a new high-tech, interactive fan experience called Vikings Voyage. Inside the 10,000-square-foot museum, fans have an opportunity to test their vertical jump, hit defensive-line pads and put on a virtual reality headset as they catch passes from a quarterback. Along with its new stadium, Minnesota has been progressive on the social front, too. The Vikings have been one of the few NFL teams to creatively integrate Vine into their social strategy. Just recently, the team partnered with Tagboard—a Seattle, Wash.-based social display and research platform company—to publish Snapchat content and account information in-stadium. With the recent rollout of Snapchat Spectacles, the digital staff recently snagged a pair of glasses and started experimenting with the new piece of hardware last weekend. In September, Jets wide receiver Brandon Marshall partnered with Lucid, an app that provides mental training, advice and mediation exercises for athletes. Through a $1 million donation to raise awareness for mental health, Marshall—who was diagnosed with Borderline Personality Disorder in 2011—and Lucid gifted season-long app subscriptions to all high school football teams in the Public Schools Athletic League. During the 2016 season, the team is also leveraging augmented reality through the team’s Orange Herd app as part of a deal with blue-chip brands Coca-Cola, Conoco and Bud Light. 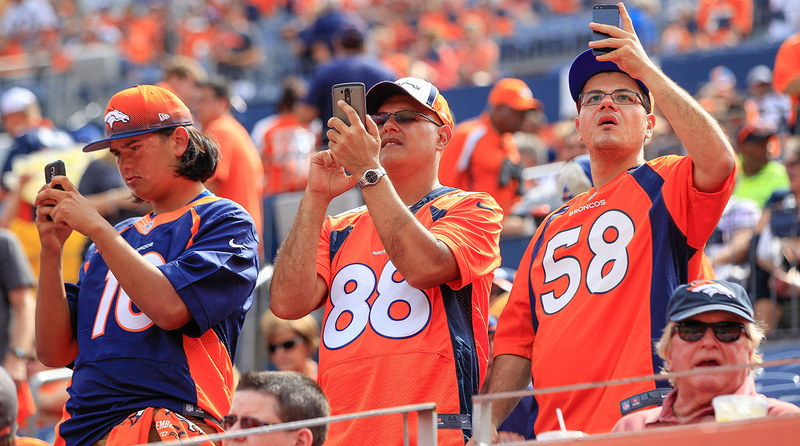 In the ’Come to Life’ brand campaign, fans can use their smartphones at Sports Authority Field at Mile High to scan one of six souvenir cups, which then activates a 3D experience and different animations. Last month, the Broncos hopped aboard the hackathon trend sweeping across professional sports, partnering with two locally-based companies—SendGrid and FullContact—for the Tackle STEM Colorado All-Stars Hackathon. The event included participation from STEM supporter, guest judge and defensive lineman, Russell Okung. The Oklahoma State graduate is also an investor in iBeat and Shyft Technologies. Around the same time in September, the 76ers launched a new ticketing platformthrough its relationship with StubHub, the team’s official ticketing partner since February. The new platform combines primary and secondary tickets into one marketplace, the first time that single-game tickets will be available for fans as part of the 76ers’ new deal with StubHub. To improve on the sports science front, the Sixers even traveled across the pond for a hire as they landed Dr. David T. Martin—formerly of the Australian Institute of Sports where he worked primarily with cyclists—as the team’s new director of performance research and development. Similarly, the Giants have been quick to leverage virtual reality at the stadium. Through a partnership with Jaunt VR, fans could see what it felt like to attend a spring training game, participate in infield drills or ride alongside now former Giants pitcher Sergio Romo, making it one of the first virtual reality technology integrationsin Major League Baseball. Additionally, during the most recent season, the Giants as an organization streamlined its entire communication process with Teamworks, a software solution that allows the hundreds of employees and players to stay connected and improve efficiency. A year ago, Bayern Munich FC hosted Borussia Dortmund, but it wasn’t just an ordinary match. Bayern had teamed up with Snapchat for a ’Global Live Story’ that would be broadcast to all Snapchat users; it was the first type of creative partnership for a team in the Bundesliga. Through the collaboration, Bayern combined team content from around Allianz Arena with fan-generated Snaps and content from six geofenced bars across the U.S. (New York, Chicago, L.A., D.C. and Atlanta). The finished product was a mix of global content that appeared for 24 hours on Snapchat. In late 2015, the Dodgers wrapped up the inaugural iteration of its accelerator program in partnership with digital marketing firm, R/GA Ventures. The first-of-its-kind initiative brought 10 startups and early-stage companies together for a three-month training camp in Playa Vista, Calif., with the team providing each company $20,000 in exchange for up to six percent ownership, depending if the company had released a product or secured other funding. The Dodgers Accelerator with R/GA culminated with the companies giving their Demo Day pitches to industry executives, media and investors. One of the startups Kinduct Technologies, which just raised $9 million in Series A funding, is now a client of the Dodgers. Program 1.0 was such a success that the Dodgers completed their second installment last month as five early-stage companies were brought together for another session. The program has sparked other franchises—such as the Philadelphia 76ers, Minnesota Vikings and Dallas Cowboys—to launch similar technology accelerators and innovation hubs. Prior to the 2015–16 season, the Hawks underwent a complete and total overhaul from a branding standpoint led by new CEO, Steve Koonin. 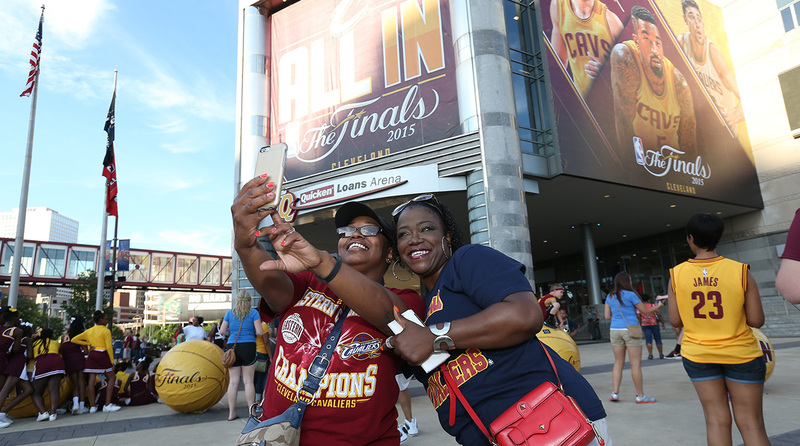 The end result was an organization looking to stretch the proverbial envelope when it came to innovative fan engagement. In Jan. 2015, the team held the first Tinder ‘Swipe Right Night’ (and the 2.0 version in 2016) to further engage its young, diverse millennial audience. It propelled other professional teams like Major League Soccer’s DC United to mimic the creative initiative. Stephen Curry. Klay Thompson. Andre Iguagadola. Kevin Durant. What do the Warriors’ players all have in common besides suiting up for the same team? They’re all investors in early-stage startups and technology companies. Similar to the players, majority owner Joe Lacob is a venture capitalist himself and partner at Kleiner Perkins, a well known investing firm. Lacob’s son Kirk, who is the team’s assistant general manager, is currently Vice President of GSW Sports Ventures, which looks to invest in sports-related areas. Co-owner of the Warriors and tech-minded entrepreneur, Peter Guber, also recently purchased a controlling interest in eSports franchise Team Liquid as part of a new ownership group. On the court, the franchise was part of the first-ever live streamed regular season game as it began the 2015–16 season at Oracle Arena. The NBA worked with broadcast partner and virtual reality company NextVR, of which Guber is an investor. Prior to the signing of Durant this past offseason, the Warriors also quietly leveraged virtual reality during the organizational pitch to him and his agent.